This Week: The Trump victory forces theatres to figure out who its audience is… A classic example of starting small in Kenya and developing a demand for books… How did an 80-year-old self-help book get on this year’s bestseller list?… The six stories to which we all respond… Authenticity and an unlikely concert venue. Will The Trump Era Force The Arts To Better Define Its Audiences? That’s a question since the November election and the statement by the “Hamilton” cast when Mike Pence attended. Some believe that artists have the obligation to speak out. Others believe that politics ought to stay out of the arts. Donald Trump tweeted that theatre should be a safe, special place and that the “Hamilton” incident was “rude”. A variation of the keep-politics-out-of-art argument suggests that artists – and the arts establishment in general – have lost touch with their communities and cater to elites. How well do we know our audiences? And what obligation do we have politically to serve them? Historically, theatre was an impolite messy experience that challenged audiences, and audiences challenged back. Shouldn’t art speak for itself – particularly the ideas of “Hamilton”? New York Times critic Ben Brantley writes that “the very presence of Mr. Pence — whose views on immigration, like those of Mr. Trump, are anything but celebratory — at this particular show (one previously embraced by the Obamas and Clintons) would seem to signal that an unspoken debate was going on that night. In that case, wasn’t Mr. Dixon belaboring the obvious in delivering the statement prepared by him and his associates (including Mr. Miranda)? Was what he said a condescending equivalent of supertitles for the inferentially challenged?” Jesse Green, on the other hand, writes that theater has been a refuge from generations of high school bullies, and the one public setting where he feels safe holding his husband’s hand, and, these days, a place where right-thinking liberals can stay secure in their bubble. However, Green reminds us, Peter Brook did not title his seminal book The Safe Space. So is our art for reinforcing values inside a bubble? Is it evangelism for a set of values that many might not share? Is it a real reflection of our communities? Is it an inspiration for an idea of a better nature? Or is it a place where ideas interact and debates can happen? The arts have been arguing for inclusiveness and diversity for years. Given the November election what do those ideas mean now? Who is the audience we want? Who is the audience we need? Ground-Up Arts – The Inspiring Story Of Getting Books In The Hands Of Africans: Two Kenyans wanting to put books more in the hands of more people, start small, opening a lending library, leading to a bookstore, leading to… an online store, which they describe as a kind of “Amazon for Africa, with fewer payment options.” The store has now sold a thousand books in Kenya and beyond—a relative handful. But in order to support a full-time employee, the store only needs to sell fifty books a day. “And if that happens it could serve as a proof of concept for literary entrepreneurship in the developing world.” This is the classic story of recognizing a need, starting small, and evolving as you see what resonates with an audience. The Book Published 80 Years Ago That Is STILL A Bestseller: It’s Dale Carnegie’s “How to Win Friends and Influence People,” and remarkably, it’s at #3 on 2016’s Amazon bestseller list. Now that’s longevity for finding an audience. So “why on Earth are people still buying a self-help book from 1936? Carnegie’s principles of relentless positivity are right at home in a culture of ingratiation, from the widespread drive to amass online friends by liking their posts (and thence to become an influencer) to the way every interaction with others.” It suggests that themes that tap into core needs are enduringly popular. 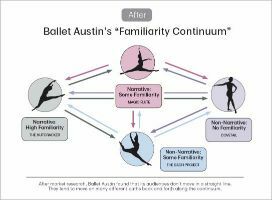 Research: The Story-lines We All Respond To: It turns out there are six basic stories we go for over and over again. Researchers “examined 1,327 stories from Project Gutenberg’s fiction collection — all English-language texts between 20,000 and 100,000 words — using three language processing filters. In the end, they found ‘broad support for six emotional arcs’ .” The research suggests that we find resonance in familiar stories and the many variations of them. Authenticity Is Key – How NPR’s Tiny Desk Concerts Attracted A Cult Following: It’s a simple idea – a music-obsessed NPR producer starts asking musicians to perform at his desk. They do, and become an internet sensation. “Over eight years, more than 550 musical acts have played at this “Tiny Desk.” The show has attracted a cult following on the internet, partly thanks to its musical curation — a peculiar mix of indie rock, hip-hop, world music, and jazz — but more so because of its authenticity.” No processed sound, no fancy set. And a challenge to perform in an unconventional space. It strips music down to its basics. Analysis showed that while the company’s core audience bought several tickets each year, even tending to schedule their May and June around opera season, newcomers behaved differently. In line with the community’s spirit of innovation, Seattle Symphony is using audience research to help target and woo recent transplants. The average single-ticket buyer at the Denver Center Theatre Company is 50 years old and the average subscriber is 63, despite the fact that millennials, a group often defined as people born between 1981 and 1997, compose the largest age group in Denver. Since 2010, the Denver Center has been engaged in an iterative process of experimentation, evaluation and refinement to help reverse this trend. ​​​The Contemporary Jewish Museum in San Francisco moves to a larger space and secures a nine-fold increase in family visitors of all backgrounds.